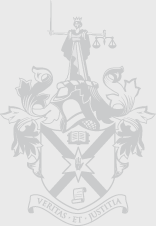 Do You Know About the Dispute Resolution Service of the Law Society? The Dispute Resolution Service of the Law Society was inaugurated formally in Spring 2002 by Mr Justice Coghlin. It consists of a panel of solicitors trained and accredited in the use of mediation techniques for resolving disputes which solicitors handle on behalf of their clients. Any type of dispute (commercial, litigation, family, conveyancing and so on – there is really no limit) can be referred at any stage for mediation and the procedure is straightforward. If the parties agree to attempt mediation, a registration form and mediation agreement can be obtained on request from the Society. A mediator acceptable to the parties will be appointed and the mediator will contact them about where and when the mediation should be held. If the parties fail to reach an agreement through mediation, they are free to proceed with litigation because the mediation is without prejudice to their legal rights and matters disclosed remain confidential. Experience gained from statistics of mediations carried out locally confirms the clear findings of other jurisdictions, that there is a high rate of success and satisfaction with mediation and that even where agreement is not reached, the process often results in a clarification of the issues for the parties leading to settlement later on.